At 5.00pm on Sunday, 25th January two brilliant young rising stars of the piano world perform at the Siam Bayshore Hotel. The concert features award-winners Benjamin Kim and Andreas Donat with a programme of solos and piano duets, presented by D &M Music Studio in cooperation with Yamaha Ratchada Music School. 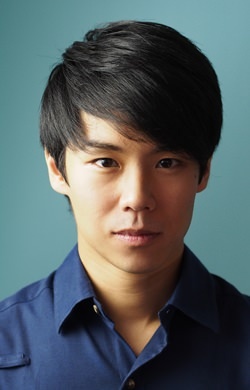 American pianist Ben Kim was born in 1983 in Portland, Oregon and currently lives in Berlin. 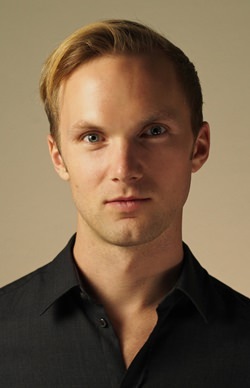 He studied at the Peabody Conservatory in Baltimore and also at the Leipzig Sommer Akademie. He’s currently attending the Universität der Künste Berlin. Paul Catala of the Miami New Music Times wrote, “Since giving his first solo recital at age eight and making his orchestral debut at twelve, Ben Kim has gone on to become one of the most acclaimed young pianists in the world.” He won First Prize in the ARD Munich International Music Competition as well as many other prestigious prizes and he has performed with some of the world’s top orchestras. His recording of the Chopin Préludes and Impromptus was recently released on the Universal Decca label. Ben also enjoys Italian cooking. Andreas Donat made his debut at the age of eleven at the Konzerthaus Vienna. When he was fifteen, he began his studies at the Vienna University of Music and Performing Arts and he won First Prize at the 2007 Bösendorfer competition. The American music magazine Clavier wrote that he gave “stunning performances of Beethoven and Liszt”. He currently lives in Berlin and has been a top prize winner at the International Beethoven competition, the Rudolf Firkusny Competition and the Young Pianist’s Chopin Competition. His album Through a Looking Glass is published by the Austrian Gramola label and features works by Debussy and Ravel. Andreas enjoys traveling, reading and good cuisine. Oddly enough, both Andreas and Ben are enthusiastic rock-climbers. Ben Kim will perform Chopin’s well-known Piano Sonata No. 2 in B-flat minor, Op. 35, popularly known as The Funeral March because the slow movement is just that. The movement was played at the funerals of John F. Kennedy, Sir Winston Churchill, Margaret Thatcher and Leonid Brezhnev. Andreas Donat will perform the last two movements from Ravel’s Miroirs. They are the dream-like Une barque sur l’océan and the sprightly Alborada del gracioso, both considered the most technically demanding in the suite. The concert will include two of Schubert’s finest works written for two pianists. These are his Fantasy in F minor D940 and his Eight Variations on an Original Theme D813. The Fantasy dates from 1828, the last year of the composer’s life and considered one of his greatest works, though with very difficult technical challenges. Advance tickets are Bt. 600 (Bt. 300 for students) and are available from the Siam Bayshore Hotel (at the end of Walking Street) or at the door for Bt. 700 and Bt 350 for students. Further information is available from D & M Music Studio on 081-682-8000. Don’t forget the early starting time of this concert, which is expected to end about 7.00pm.